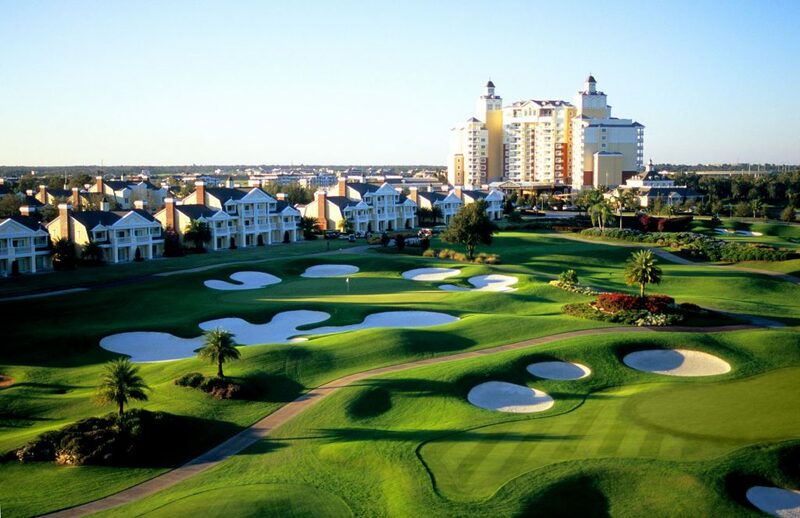 Special thanks to Reunion Resort for hosting my family, all views & opinions are exclusively mine. Orlando, the town synonymous with family fun and adventure is known the world over for the exciting theme parks, bustling crowds, and endless entertainment. And while Orlando is certainly all those things, did you know there is a calmer, slower paced Orlando resort just far enough from the bright lights, big city style that can provide your family a relaxing vacation? I’m thrilled to share a wonderful secret sanctuary with you today, a place that’s convenient to all the big name thrills but also serene enough to give you the rest your family needs to make your time away a true vacation. Okay, as I mentioned above, Orlando is an amazing place to vacation and has something for every budget and activity level. Being a lifelong Florida Resident has given me the unique perspective of visiting many attractions(Things To Do In Orlando Besides The Theme Parks) and staying in a vast array of lodging options. From hotels to campgrounds, resorts to condominiums, I’ve traveled as a couple, large family, and with extended family. While different occasions can dictate your needs, some my best memories have happened at beautiful places like Reunion Resort. My family spent a long weekend soaking up the sun and relaxation there last month and it was a delight! Reunion will amaze you with an unmatched ability for bringing your friends and family together. Our family of 6 stayed in a spacious 3 bedroom villa with a full kitchen and large balcony. These well appointed villas are the best way to travel with extended family or friends because everyone has their own bedrooms, bathrooms, and space to spread out! I also appreciate the kitchen feature because it makes my life as a mom much easier than having to navigate restaurants with exhausted little ones. Plus, it saves time and money when we can grab a healthy breakfast if we are heading to a theme park that day. And each unit also has a washer & dryer! I love returning home from a fabulous getaway without piles of dirty laundry in my suitcase! Score! 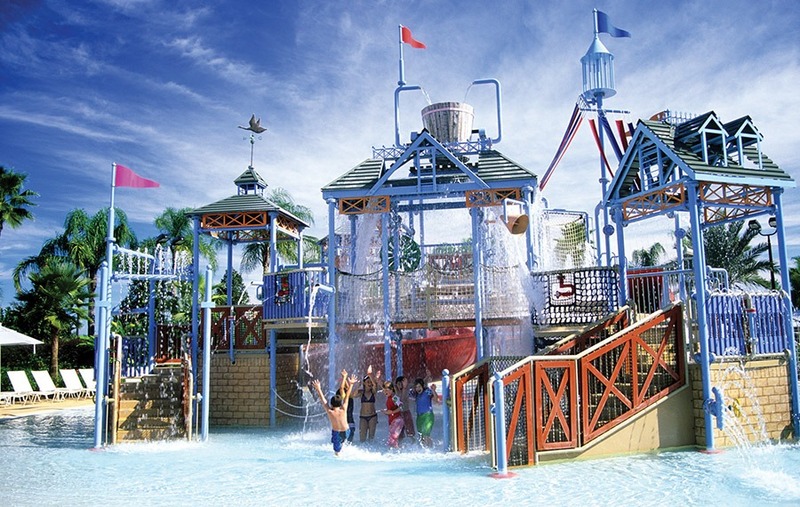 You can spend the day splashing around the waterpark(yes, they have their own waterpark!) play tennis on six lighted courts or rent a bike. After you have finished dining, catch the daily Disney® fireworks display from the pool deck. Love golf? This is the only resort in the world featuring three signature golf courses designed by golf’s greatest legends: Jack Nicklaus, Arnold Palmer and Tom Watson. After spending our first day at Magic Kingdom, we were more than ready to spend the next two days basking in the calm and relative quiet that is Reunion. 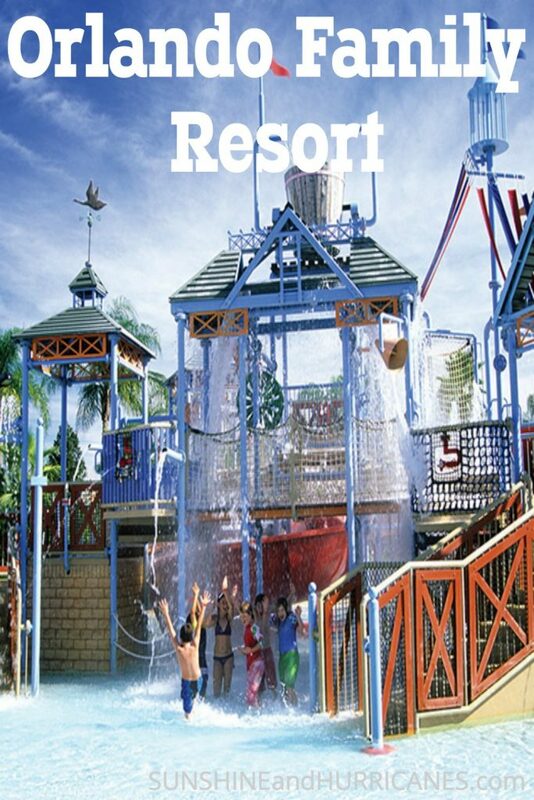 My children adored the waterslides, kid’s splash area, and the ever pleasant lazy river. My hubs and I enjoyed relaxing poolside in the shade. This was the perfect change of pace for us and a welcome reprieve from a crazy schedule. As Disney passholders, we’re frequent visitors to the Orlando area and we’ll definitely be planning another visit to Reunion in the future!If you’re visiting world famous O-town, don’t miss our post about 10 Things To Buy Before A Disney Vacation and 10 Free Things To Do At Downtown Disney, now renamed Disney Springs. 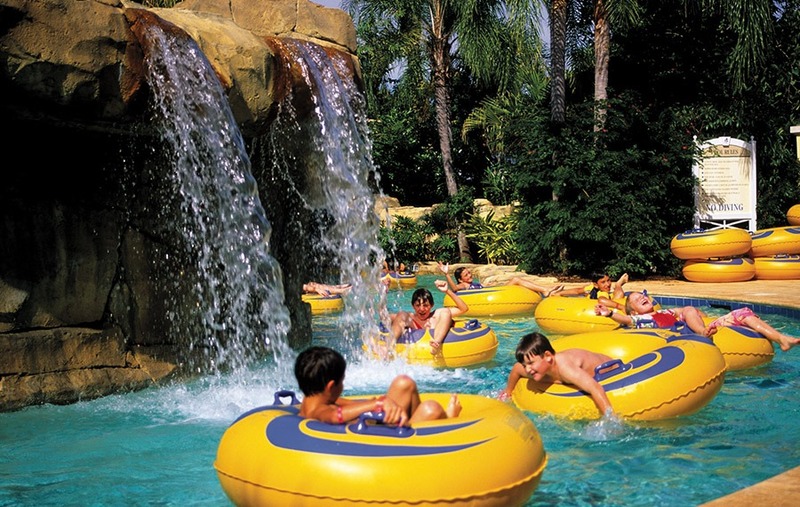 Do you have a favorite activity when in Orlando? I’d love for you to share it in the comments below! This looks so amazing we are heading to Orlando soon this might be a good addition to our trip!!! Love love love going to Florida and going to Disney. We took the grand kids twice this year and we had a blast! Can’t wait to go again! I want to go!!! Sounds like an amazing time and so much fun for the adults and kiddos! This looks like it was so much fun! 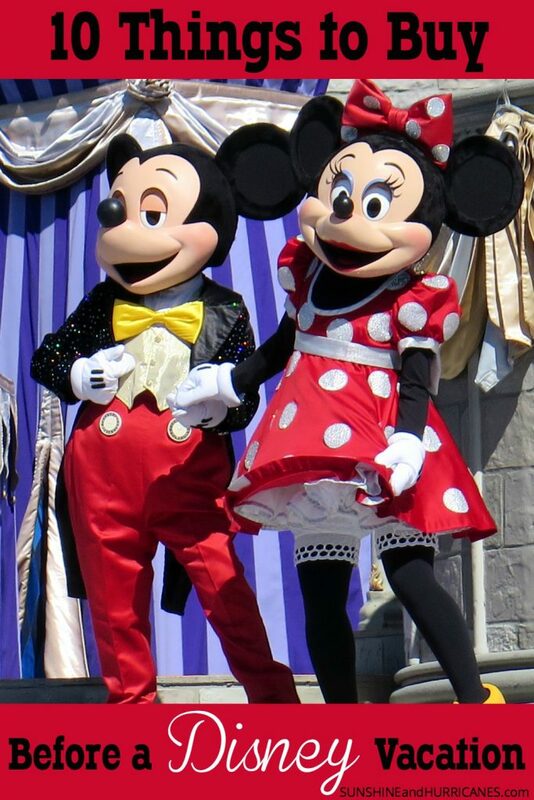 I never would think to have a family reunion at Disney but it looks awesome. I would stay for hours in that lazy river if I could. It looks so fun and relaxing 🙂 What pretty accommodations too. Nice vacation package! OMG that looks so much fun! Both for kids and adults. I cannot wait to go!! This looks like such a fun place to vacation! We have just started our summer vacation plans for next year, and Orlando is on our list of possibilities. So much to do! This looks like the perfect family vacation! I love that the rooms have kitchens so we could cook “at home” instead of eating out for every meal! I’ve never been to Disneyworld. I live right near Disneyland, so I’ve been there many times. Looks like you had fun at this reunion. This looks like a fun trip! We’ll have to consider going soon. This is a dream trip for my family & I. Thanks so much fun for sharing all the fun!